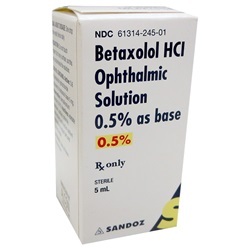 Sterile Betaxolol HCl 0.5% ophthalmic drops in 5 mL bottle. 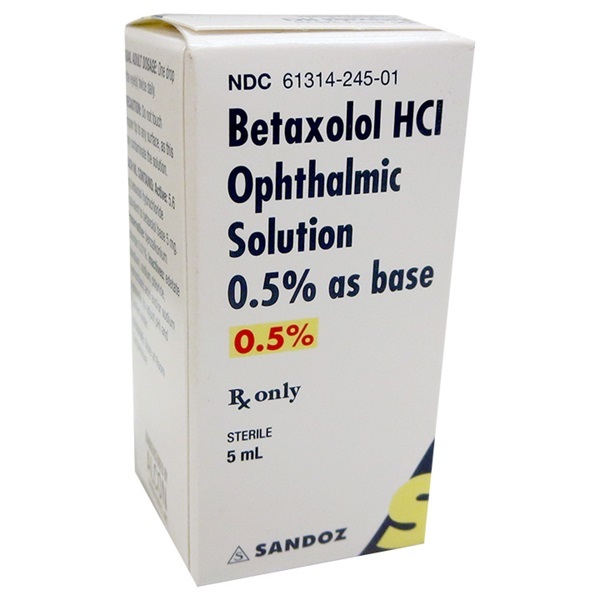 Beta-Adrenergic blocking agent. Manufactured by Sandoz. NDC Number: 61314-0245-01. Comes as singles.